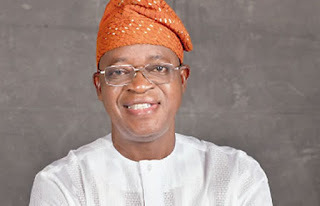 The Independent National Electoral Commission declared the candidate of the All Progressives Congress, Gboyega Oyetola, as the Governor-elect of Osun State, Punch Metro reports. The rerun of the Osun State governorship election was held in seven polling units across four council areas on Thursday with the candidate of the All Progressives Congress, Gboyega Oyetola, beating the Peoples Democratic Party candidate, Ademola Adeleke. Adeleke had won the main election on Saturday with 353 votes after polling 254,698 against Oyetola’s 254,345. On Thursday, both candidates relied on 2,637 votes in the seven units where the Independent National Electoral Commission had declared rerun to win the final contest. In Osogbo, the APC scored 299 votes while the PDP scored 165 votes. In all, APC scored 1,160 to beat the PDP which scored 325 in the rerun. When added to the result of the main election on Saturday, APC had a total of 255, 505 votes against PDP’s 255,023. It claimed that the actual margin of the win against Oyetola in the first election was 4,740 and not 353. The party said that INEC added 2,000 votes to what the APC polled in Osogbo and 1,387 to what it scored in Olorunda. The party also alleged that 1,000 votes were deducted from what Adeleke scored in the Ayedaade council area. The candidate of the Social Democratic Party, Iyiola Omisore, who came a distant third in the Saturday’s election, however, became an important element in the Thursday’s rerun because some of the polling units fell under the area of his strength. He was visited by a high powered Federal Government delegation which included the APC chairman, Adams Oshiomhole; Ogun State Governor Ibikunle Amosun; his Oyo State counterpart, Abiola Ajimobi; Ekiti State Governor-elect, Kayode Fayemi; and Minister of Information, Lai Mohammed. Although he also met some leaders of the PDP, which included the party’s presidential aspirants, Bukola Saraki, and Atiku Abubakar, Omisore caved in under the FG pressure as he announced that he would support the APC in the rerun. In areas where the rerun was held in Ife-South and Ife-North, PDP supporters alleged that they were barred by thugs from reaching the polling units to cast their votes for Adeleke. They also alleged that police watched as they were beaten by the thugs, adding that the result of the election did not reflect the wish of the electorate. In Olode, the PDP agent was absent at the polling unit. One of our correspondents who were at the polling unit witnessed the beating of two people who claimed that they had come to vote. Although there was a heavy presence of armed security men at the unit, the hoodlums acted without hurdle. It was also observed that voters were hugely induced to vote at the polling unit.